We, at the Leeds Stove Centre have become one of the leading suppliers of wood burning stoves to the Keighley area. Our huge choice of stoves ranging from modern stoves to more traditionally styled stoves gives you an ample selection to choose from. Not only does our range of beautiful stoves look fantastic, but they are also extremely practical, offering a cheap, eco-friendly way to heat your home. A large selection of our quality wood burning stoves can be viewed in our dedicated stove showroom in Leeds. If you visit our showroom you will be able to get a good idea of how your stove could look and feel in your home and also, because of our live working examples, feel the warmth that our wood burning stoves can create. We pride ourselves on supplying our customers the highest standard of wood burning stoves we can. Therefore, we only stock stoves from trusted manufacturers such as Stovax, Burley, Yeoman, Dik Guerts and more! With such a large choice available in a range of different styles, we believe that you are certain to find your perfect wood burning stove here. A list of approved installers can be found by visiting HETAS (Heating Equipment Testing and Approval Scheme Ltd). To arrange a free installation survey, why not contact us on 0113 255 5622? 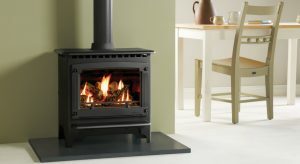 Buy with confidence from the Leeds Stove Centre – Number 1 supplier of wood burning stoves in Keighley.